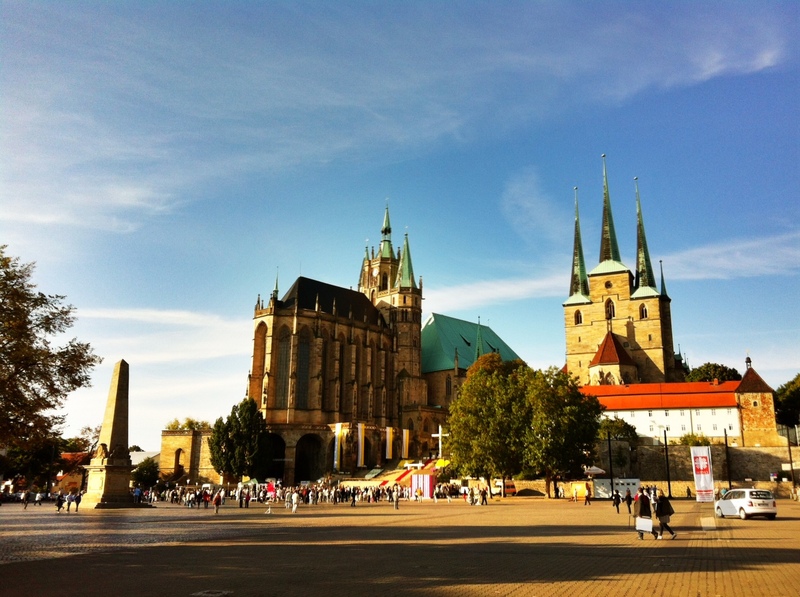 Erfurt – Sunshine. Whimsy. Tacos. 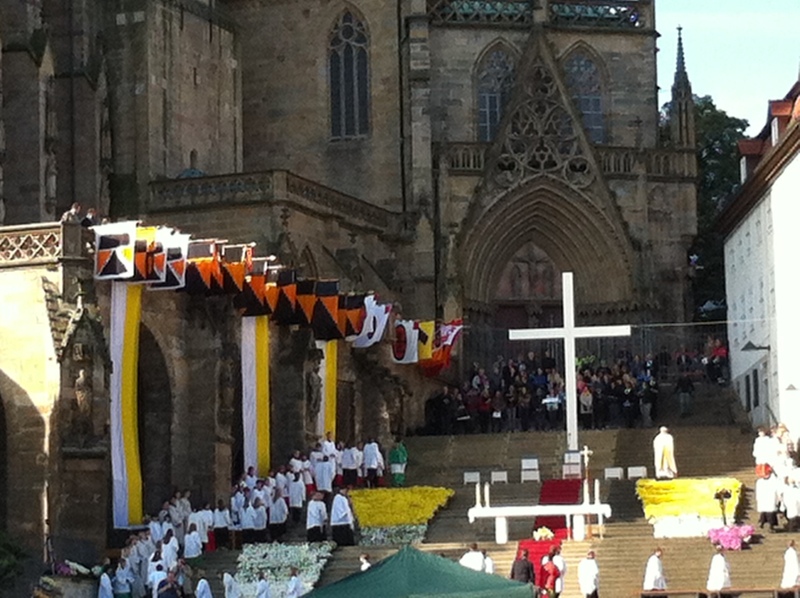 I went to Erfurt two weeks ago for a concert. I headed over on a Friday night I wasn’t really sure what to expect because I’ve never heard much about Erfurt, except for a comment from Cliff of Regensblog who said that Erfurt was quite nice. 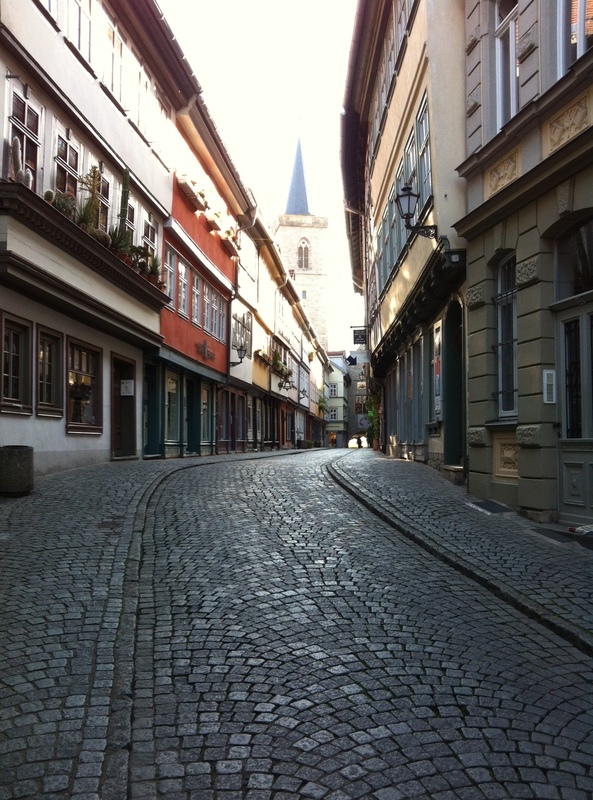 There’s a lot about Erfurt that I did not know, however. For example, the Erfurt Synagogue, which I did not see, was built around 1100, and it’s thought to be the oldest synagogue still standing in Europe. I also did not know that Kika, the children’s television programming network, wsa based in Erfurt. 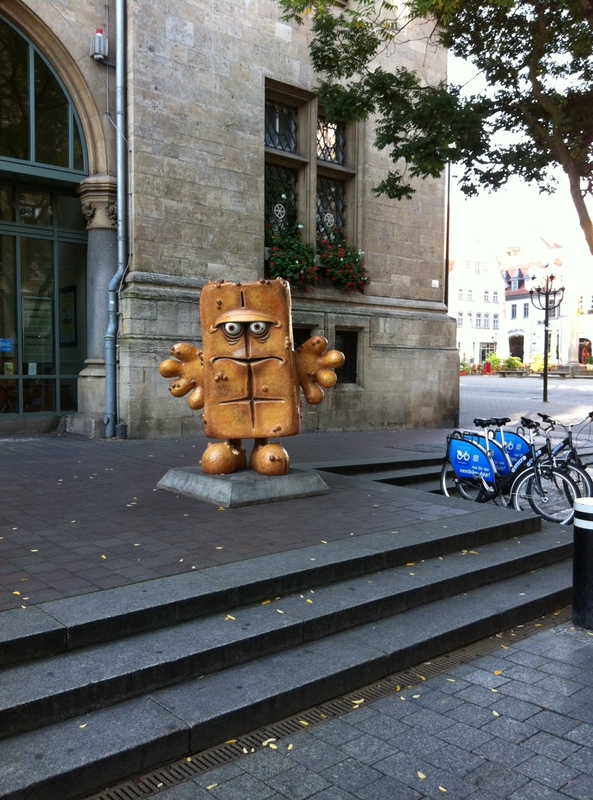 That explains this giant statue of Bernd das Brot in front of the town hall. This statue was kidnapped in 2007- I didn’t know that until just a minute ago but it’s a fascinating and entertaining story. Even if Bernd das Brot does creep me out. 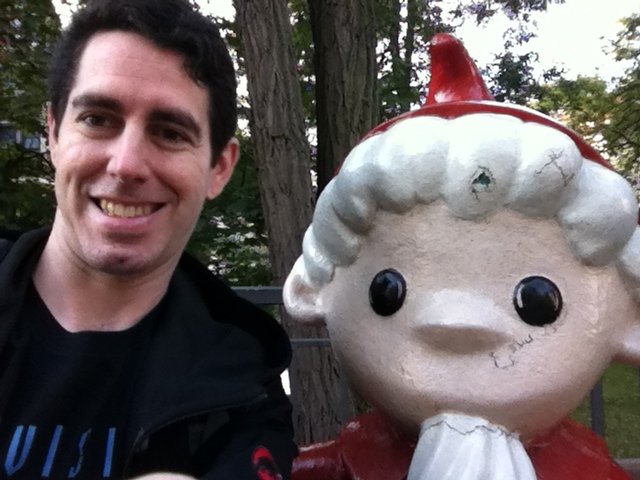 I also found a random gnome on a bench, and couldn’t resist. I wandered by the Krämerbrücke, a rather unique footbridge over the Breitstrom, a small tributary of the Gera river. This bridge has buildings on both sides, so it doesn’t actually look like a bridge from inside it. In hindsight, I wish I’d tried to take this piture in HDR so the tower in the background wasn’t so washed out. …and here’s what it looked like less than a half hour later. The brass band I heard was just warming up for a giant gathering called Bistumswallfahrt 2012. 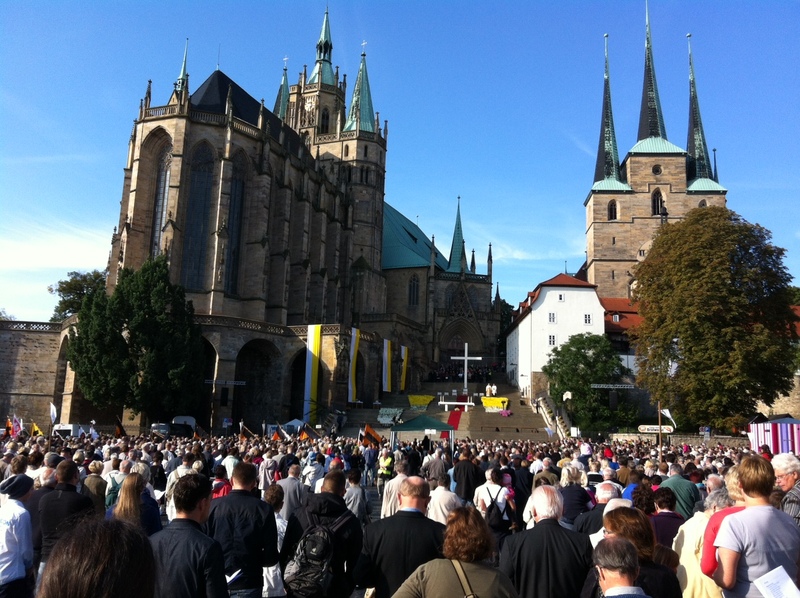 This was a religions event held on the Domstufen, the huge steps between the Mariendom on the left and the Severikirche on the right. There was a procession with a bunch of flags and children in white robes. I don’t really know specifically what they were celebrating, but the band was joined by a large chorus as well. I watched the whole thing for perhaps forty minutes, and then I walked back to the Bahnhof to catch my train back to Regensburg. 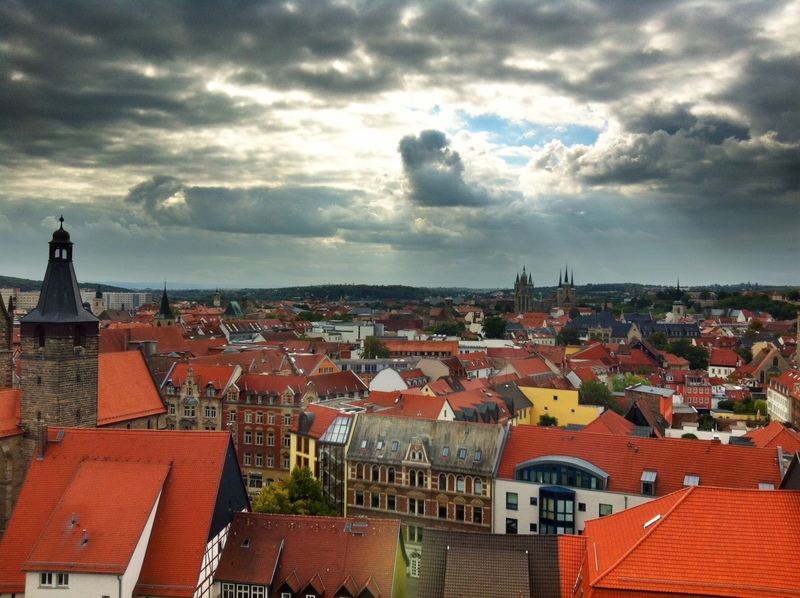 Hadn’t heard of Erfurt before, looks like another nice German city. What concert were you there for? A band called De/Vision. If you search ’em on youtube you can find lots of examples. Look for “Try To Forget” or “Your Hands On My Skin” or “I Regret” for good examples of their classic well known songs. The “random gnome” is the former east german sandman and todays whole germanys sandman on TV. One of the things west germany had taken over from the east. Besides the Ampelmänchen and the green arrow (Grüner Pfeil – beside trafik light allows you to turn right even when the red light is on). Contrary to its repressive regime, East Germany made some excellent and quite liberating kids’ entertainment. What’s noteworthy is that Eastern Europe as a whole had a tradition of well-made kids television, in which case it’s probably worth mentioning Lolek & Bolek from Poland as well as a show about time travelers made in 70s Czechsolovakia, both of which I absolutely adored as a kid. What’s good is that children who grew up in West Germany (such as myself) were also able to see these shows from the other side of the Iron Curtain.